They're real, and they're spectacular...if you're into that sort of thing. On Saturday, The University of Michigan will take the field against the University of Florida in the first regular-season contest between the schools. Hosted at AT&T Stadium in Arlington, Texas, the game is the perfect showcase for a duo of deeply saturated uniforms that express the heritage and future of each program. 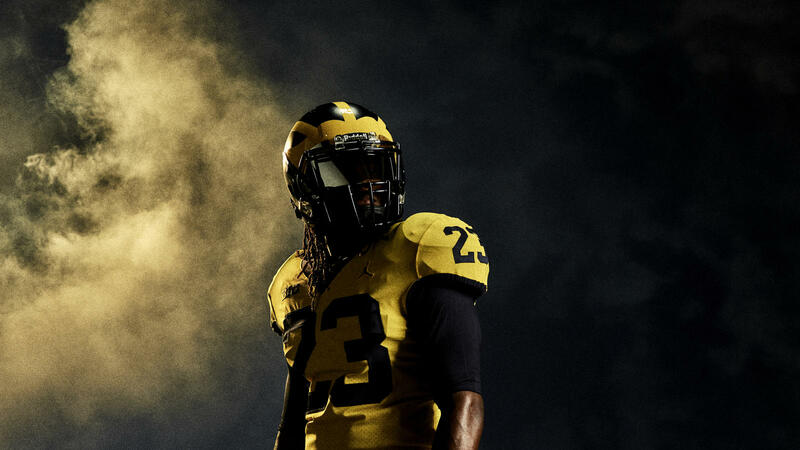 For the first time, the Wolverines will wear a new all-maize uniform in celebration of the University of Michigan Bicentennial and in honor of the 150-year anniversary of the school's official colors, maize and blue. This is the second time in school history that Michigan has worn a maize jersey. The program donned a maize jersey with blue numbers against the U.S. Naval Academy in 1928. The Wolverines are wearing an alternate uniform for the sixth time since the 2011 season. 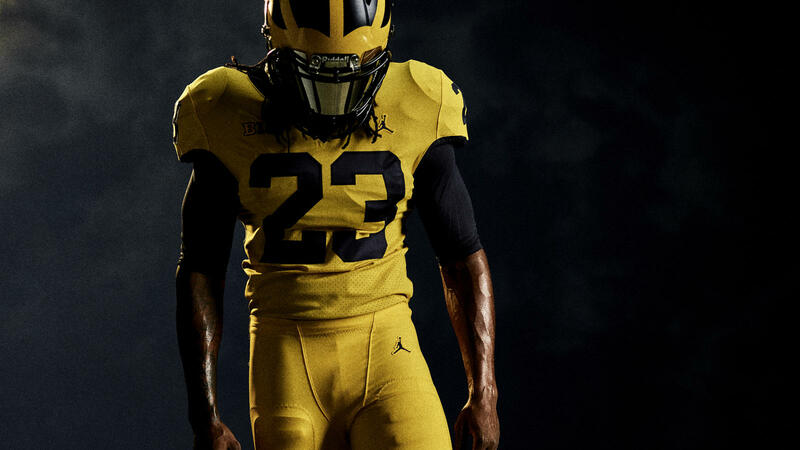 It will be the first time that U-M has worked with current apparel provider, Jordan Brand, on a special uniform. Don't love em, but oddly don't hate em either. Like I said, I'll reserve ultimate judgement until Saturday at 3:30 or once the outcome of the game is decided as is usually the case with any alternate jersey Michigan wears.